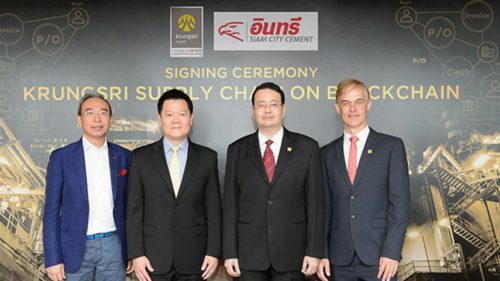 Krungsri (Bank of Ayudhya PCL) and Siam City Cement Public Company Limited announced mutual collaboration to develop the Krungsri Supply Chain on Blockchain solution for business operators. For the first time in Thailand, the blockchain technology is deployed to facilitate the supply chain business. The technology will not only increase flow efficiency, improve credibility and transparency of business-to-business transaction data shared, but also help small-sized SMEs which are lower-tier suppliers in better access to financing. The project is currently conducted under the Bank of Thailand’s Regulatory Sandbox guidelines.